In a previous post we considered how God designed the Church to function as a Body in an interdependent and unified way which means that even budgets become a process of Body Life. For this process to succeed, leaders need to foster the right kind of environment. Foster a Culture of Interdependence even when doing a budget. As a leader, you should not try to do it all and then merely present “your” agenda to other ministry leaders. Coming with a personal agenda is a quick way to shut down the exchange of ideas and input from others. Trust people to be involved while at the same time providing some guidelines or parameters to be followed in the process. For example, you might set the expectation of praying before and during any meetings you might have with them. You might require them to have consulted team members about needs and goals so they too can be a part of the process. You might set the fulfillment of God’s purposes for your church as the standard against which they should measure any proposals. And, don’t assume people know how to work together in beng a part of a process for developing a budget. Provide training or orientation for at least team leaders. Question #1: What parameters should you have in place that will guide the process, not dictate the outcome? Foster a Context for Unity. Always keep in front of people the objective of working for the good of the whole toward God’s purposes. No ministry should be seen as an island to itself or more or less important. That doesn’t necessarily mean all will get an equal share of the budget but rather that each will be provided with what is needed for all to serve effectively. When no one ministry area is elevated or isolated, working together on the budget becomes less about competition and more about what is best for everyone. Undoubtedly there will be some differences of opinion on how much should be allocated to different areas. But, when the budget is put in the context of God’s purposes and the common good, it strips people of being able to fight out of entitlement. There is a “Due North” or a focal point toward which all disagreements must be drawn. As you head in that direction, all the differences taken into consideration tend to yield a better end result. Question #2: What specifically can you do to keep the focus on the bigger picture? Foster a Climate of Safety in Sharing. People need to feel free to express their opinions without fear of reprisal, ridicule, or being ignored. Everybody’s contribution to the process must be desired and valued — no exceptions. Yes, this includes that person you would rather avoid because you know he/she will question or debate almost everything you are working toward. Let that person know you value his/her input and will take it into consideration, along with everyone else’s input, in finalizing the budget. To avoid people feeling threatened or less valued if their suggestions are not implemented, make sure you have prayed about it and have valid reasons for going in a different direction that you are ready and willing to explain. You do not want to shut people down for future input feeling like their input didn’t matter so why bother sharing what they think in the future. Also, be sure to express genuine appreciation and gratitude for people’s involvement and input in the process. Question #3: What proactive measures can you take to foster a safe environment? TO DO: Take some time to think through the 3 questions in this post. Then share what you have done or perhaps will do in a comment so we can learn from one another. After reading all this realize I need to be more proactive by laying out objectives and expectations. In past we handed out budgets for ministry leaders to work on without any real guidance. Honestly it’s always a hassle getting them to do it especially on time. Budgets can seem like busywork for already over scheduled people who just want to serve and not have to deal with such tasks. We need to help people understand how God’s purposes for the church and budgeting mesh together, rather than stand as separate endeavors. If budgeting is an extension of Body Life and a reflection of living out God’s purposes for the church, it raises it to a higher level of importance. 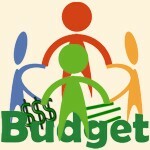 ← Previous Previous post: Budget a Process of Body Life? Next → Next post: Managing Change According to Church Purpose?